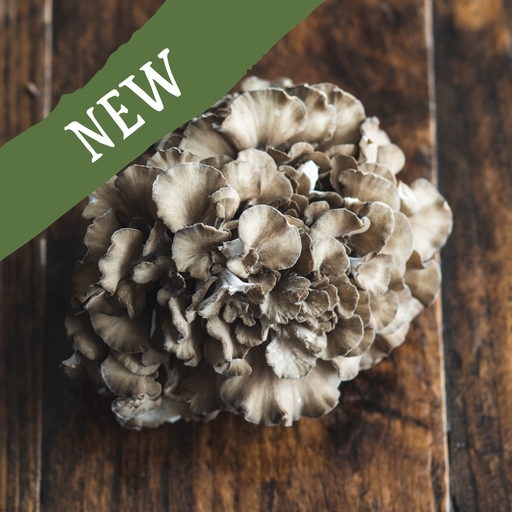 Hen of the Woods mushrooms are best cooked and served simply, to allow their excellent texture and truffle-like flavour to speak for themselves. Slice and pan fry, then serve on toast or use to finish a pasta or risotto. Scott Marshall first fell in love with mushrooms hobby-foraging in the fields and forests around Dawlish Warren, Devon. In 2013, he decided to pursue his passion and founded Forest Fungipp; Scott, partner Becca and a small mushroom-mad team work in their ‘Shroom Room’ to grow an impressive variety of gourmet mushrooms. If you find yourself in the area, pop into their farm shop to see their beautiful fungi for yourself.